So, what makes Vue.js different from other frameworks? What does it have to offer? There are also a few things that we shall pick talk about in the later sections. As you go through, you shall also learn that working with Vue.js is pretty easy and also enjoyable. Also, you shall not need to compromise on any functionality. We have basically rendered a template in this case. Now, when the object changes, there is nothing required to be done to change the view. Why? This is simply because Vue has already made the object reactive. When objt.message is set to something, the HTML automatically updates as well. The computed property j considers I as a dependency and automatically syncs. Vue.js uses a path pretty similar to React when it comes the structuring of complex interfaces. Vue.js has its very own transition system that is pretty easy to use. In fact, several award winning websites have been built with it, typically being very interactive in nature. Vue doesn’t come with routing, just like React. But, there is the vue-router package that can help you in this case. It offers support for mapping nested routes to components and also offers fine transition control. Despite that fact that Vue.js is a personal project and not one that has an enterprise team working behind it, it is indeed stable. In fact, bugs are pretty much all closed up at a fast rate, thus making it a reliable framework to work with. Now that we know what Vue.js has to offer, we shall now learn to build a menu, form and an editor. 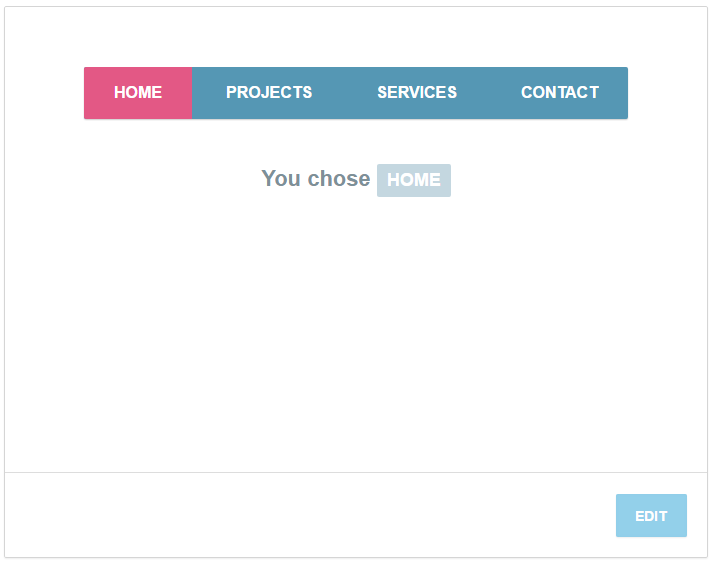 The first thing that we are going to build is a simple navigation bar. However, before that there is also something that one needs to know about the components that a Vue.js application requires. View – This is largely the HTML part, which is also the portion that we look to display. View-Model – This is mainly the Vue instance that is supposed to bind the model and view, thereby enabling communication between them. // Creation of a new Vue instance and passing it in options object. // This happens to be a DOM element for mounting our view model. // Defining the properties and giving them initial values. // Methods that we shall use. // When a model changes, view shall automatically be updated. In the example prior to this, we largely made use of predefined values. However, if we wish to allow users to set such data, we will require two-way binding and need to link the input field with a model property. As such, when the text is entered, it automatically saves in the text_content model. v-on:clock.stop happens to be an event handler meant for clicks, with a modifier that can stop event propagation. <!-- v-model is meant for binding the content of the text field with the "text_content" model. 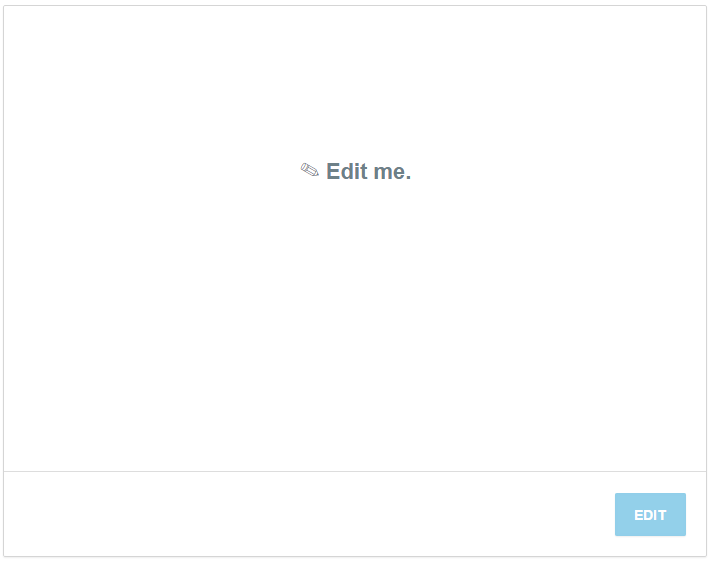 <!-- The mustache expression shall be replaced with the value of the "text_content". // This is a DOM element for mounting our view model. // Defining the properties and giving them their initial values. // Methods that we shall be using. // When a model has been changed, the view shall automatically update. 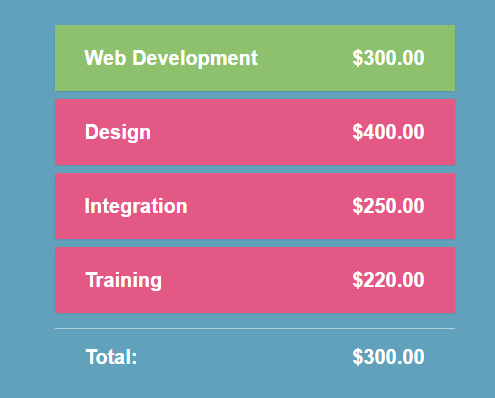 This example looks to show the multiple services and their total cost. Also, since the services are stored in an array, we make use of the v-for to loop through all of the entries and then display them. If any new element happens to be added to the array, then Vue.js automatically syncs and shows the new data. <!-- Displaying name & price for all entries in the array. // element for each one of the items present. However, this isn’t its only possibilities. The library on the whole, offers a lot of more features such as animations, custom components and a lot more.